A poignant novel of heartbreak, adoption and a father's love by beloved bestselling Australian author, Fiona Palmer. Adam, a successful florist, was raised by his mother. As his dreams start to fall into place, he can't stop thinking about the father he never had. These five very different people - all connected but separated by secrets from the past - could be facing their futures together. After all, friends will come and go but sisters and brothers are forever . . . The new novel of heartbreak, adoption, family and a father's love by the Top Ten bestselling author of Secrets Between Friends, Fiona Palmer. 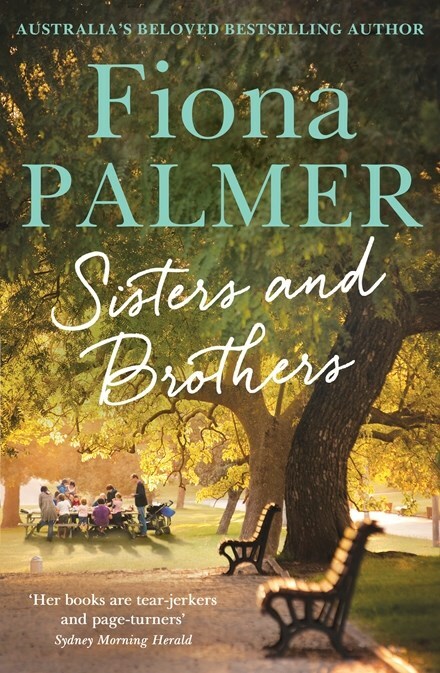 Sisters and Brothers is a well written, poignant story that really does encapsulate the modern family with all its complexities and messiness. Families ain’t what they used to be! Therefore, it is not surprising to learn that this is not just one story, but in fact a number of stories. With flashbacks to the past and present day, each member of this extraordinary family is given the opportunity to tell their story, resulting in an emotional tale of love and loss, life and death and hope for the future. At its heart is the story of Bill - both in 1975 and modern day where he is now in his 70s. One story (out of the many covered in this book) that I particularly enjoyed was that of Bill and Debbie in 1975. That was such a heartwarming tale of true love. There are many others lining up to tell their tale - Sarah, Emma, Adam, Michelle - and although the connections were there I just found it a bit too much to be honest. I get that its modern, a truth for many but for me, all too much for one poor family. I felt really sorry for Sarah and thought her overall attitude and only one meltdown was rather admirable! Overall, however, this is a book about family and what it can mean in today’s society. There will be triumphs and tragedies but it really all comes down to the love shared between each other. The characters are all strong and well developed and there are some noteworthy dynamics between them. I particularly liked Emma - she was the ‘glue’ that tried to bring everything together. Her message was one that can stand true for all of us, namely, enjoy each day with those you love and let tomorrow’s cares unfold as they will. Stay true to what is important in life. All up this was an enjoyable read as Fiona takes you on a soul searching journey of love, forgiveness, hope, joy and acceptance. 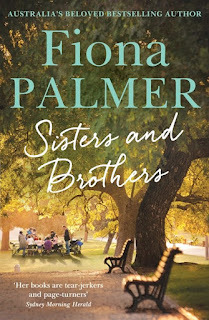 If you love the dynamics of families and undiscovered secrets then you will adore, Sisters and Brothers.